Dance Classes, Lessons, Events & Courses for Dancing Stars Linedance Club. Come along to any of our (AB) absolute beginners + beginners /​ improvers classes. Or join the improvers /​ intermediate class. Children are welcome but must be accompanied by a parent or guardian. Please wear suitable footwear for dancing in. Classes are a good way to lose weight and to make new friends; no partner needed, dance to a good mix of music. Just turn up; no need to call or book. Other classes may be arranged, this is dependent on numbers and experience. Event Organiser, Regular Dance Classes. Dance Styles: Line Dance. 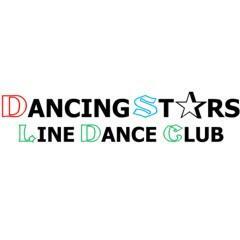 Email: Dancing Stars Linedance Club. All Entries for Kempston Hammer Sports & Social Club Venue. Car Parking. There is a wooden floor in the hall so please wear leather soles. Line Instruction at Complete Novice to Improver level, Practice at Complete Novice to Improver level. A Mixture of dances from Absolute to Improver level dances covered dependent on experience of the dancer. Line Instruction at Improver to Intermediate level, Practice at Improver to Intermediate level. For more experienced linedance dancer. All Entries for Priory Methodist Church Venue.